The Gilbert Scott is a true British classic. 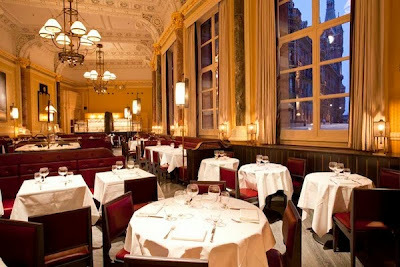 Set in one of the most architecturally dramatic buildings in London, the dining room has an overwhelming sense of grandeur and occasion, yet manages to be elegantly casual at the same time. Although located in the same building as the St Pancras Renaissance Hotel at St Pancras International station, this is not a pit stop, a conduit or the start of a journey: this is a destination in itself. The Gilbert Scott is the second restaurant from celebrated chef Marcus Wareing, but don’t expect Michelin-style finesse and ceremony – this is a British brasserie, with a menu of historic and nostalgic British dishes. The starters include Brown and Forrest smoked salmon with oatmeal soda bread, crispy pig’s head with laverbread mayonnaise, pickled cockles, and sea herbs and venison terrine with Somerset cider chutney. Highlights from the main courses include an intensely flavoured braised oxtail and nutmeg mash, veal schnitzel with fried egg, anchovy mayonnaise and capers, Mrs Beeton’s barbecue chicken and Cornish hake with cauliflower, capers, almonds and sea purslane. Puddings are a highlight with classics such as sticky toffee pudding, warm apple pie, Eccles cake and trifle. It’s rare to find a menu where you would happily order it all. 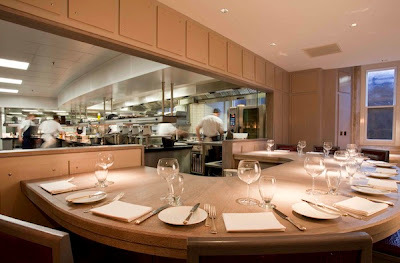 The Gilbert Scott has a range of private dining options, including The Kitchen Table (pictured above) in the basement kitchen area, surrounded by walls of wine with the buzz of the kitchen in full view. 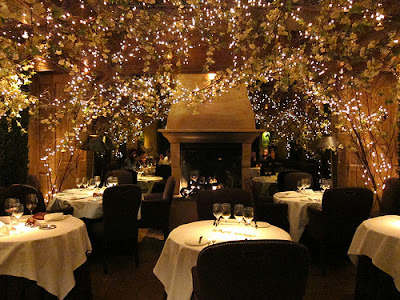 Combining an excellent cocktail menu with a truly stunning room with ornately painted ceilings and magnificent bell chandeliers, setting the scene for an enchanting evening of elegant decadence. For reservations call +44 20 7278 3888 or book online. 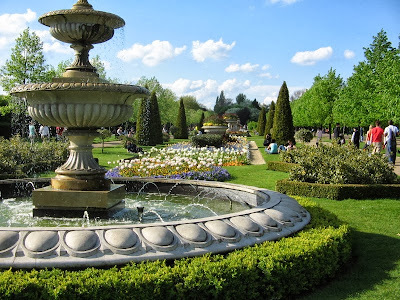 To know the best of London, follow us on twitter.